Past Projects | Young Democrats of WWU! 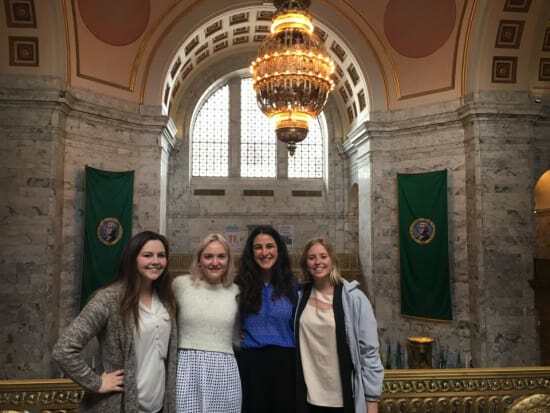 Claire Devine (President), Blair Murphy (Vice-President), Gabbi Nazari (Membership Director) and Skyla Sorensen (Secretary) visit our state capital. The Young Democrats of Western is a new club on campus. Our goal is to raise money for the annual Young Democrats of Washington Convention in April 2018. This is an annual convention organized by our parent chapter. There will be speakers and leadership development courses that are vital to our growth. We need to raise money to get our members there by providing transportation and hotel fees. In addition to this, we will be raising money to go towards bringing speakers to campus, expanding our club base, and focusing on registering new voters to the Democratic Party. We want to work towards rebuilding the Democratic Party from the inside out - which we believe is the most effective tactic. Our aim is to get youth involved in politics. We are committed to electing young people to office and supporting local Democrats. We host call nights, letter writing nights, and other events to encourage students to be confident in establishing their voice in politics. We want to provide students a community to feel comfortable getting involved on campus. 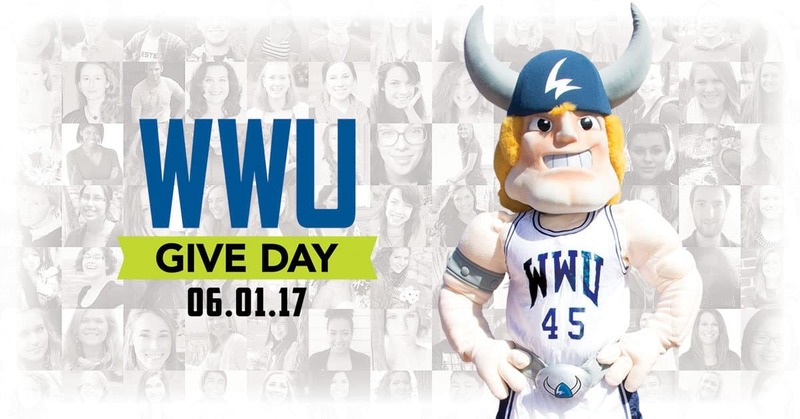 On June 1st, WWU's 2nd Annual Western Give Day, a portion of EVERY gift will be matched! Take advantage of this incredible opportunity and support the Young Democrats of WWU! You are helping us grow. With this money, we will be able to create buttons to spread the word about our club. Thank you for your support! You are giving us a little more responsibility here. This gift will help us create T-shirts so we can promote while canvassing this fall. Thanks for your support! You are aiding us in funding important movements on Western's campus. This gift will cover the cost of one person going to Young Democrats Convention next spring. Thank you for your support! Your great 'judgement' is really helping us out at this level. This gift will cover one hotel room for Convention next spring. Thank you for your support! Your assistance is vital to our growth. This gift will help bring a speaker to campus. Thank you for your support! Thank you for your service to this country. This gift will help us bring two (2) speakers to campus in the upcoming school year. We appreciate your dedication to young people making change!